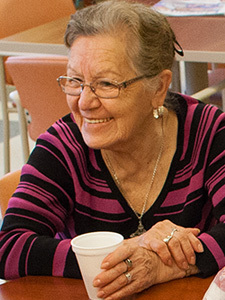 Casa Maravilla is a $20 million, public/private partnership with the City of Chicago Department of Family and Support Services Area Agency on Aging. Built in cooperation with the Resurrection Project, a local, non-profit community development corporation, Casa Maravilla is a 7,000 sq. ft. senior housing building in Chicago’s Pilsen neighborhood, just north of Alivio Medical Center. Casa Maravilla houses adults 55 years and over in 73 unique units at affordable monthly rates. The five-story building is a mix of 28 studio, 32 one-bedroom and 13 two-bedroom units. Sizes range from 478 to 828 square feet. Other amenities include a fitness center and on-site parking. The units are made affordable to seniors earning less than 60 percent of area median income. Casa Maravilla has incorporated various green elements into the design and construction of the development, including water permeable paving, highly efficient mechanical systems and insulation. The Resurrection Project approached Alivio Medical Center to build Casa Maravilla. Alivio agreed to sell them the land they needed to build new housing, with the understanding that at least part would be housing for seniors. The Resurrection Project agreed and built a City of Chicago Department of Family and Support Services Senior Satellite Center on the first floor. Casa Maravilla opened its doors in January 2011, and Alivio has managed the center since then at no cost. The Resurrection Project leases the senior center back to the city for no charge. The development is part of a campus environment that includes Casa Morelos, a mixed-income rental housing complex adjacent to the Alivio Medical Center. On land purchased from Alivio, The Resurrection Project completed construction of the $15 million Casa Morelos, an environmentally green building with 45 unites of affordable rental housing. The complex contains energy efficient appliances, geo-thermal heating systems, semi permeable pavement on the parking areas and a green rooftop.